The Last Mimzy (2007) is a science fiction family film directed by Bob Shaye and loosely adapted from the acclaimed 1943 science fiction short story "Mimsy Were the Borogoves" authored by Lewis Padgett (the pseudonym of husband and wife team Henry Kuttner and C. L. Moore). It tells a tale of two children, Noah (Chris O'Neil) and Emma (Rhiannon Leigh Wryn) Wilder, who develop preternatural powers when they encounter a mysterious box containing strange devices, presumed to be merely toys. Okay, everybody. Ready? Let's settle down. Today I'm going to show you a story. Let's all tune in together. A long time ago, the soul of our planet was sick. People had become isolated and warlike. Our world was frightened, it was dying; but a great scientist was trying to save us. He had tried many times, and he knew he could only try once more. This was the last Mimzy. Mimzy returned to her own time, as if time had stopped. 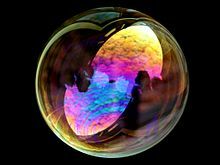 It was what the scientist had hoped for — to find a soul in the past not contaminated by the pollutants that filled our bodies and minds. Our precious quality of humanity had been turned off, but in Emma's tears was the instruction for an awakening; and it spread like wildflowers. People shed their protective suits. And over time humanity blossomed again. Our world was saved by a child, very much like you. Emma was our mother, the mother of us all. I looked through the looking glass Mommy. I looked through it. Just like Alice. We're building the bridge — it's for Mimzy to go back. I think she's the Easter Bunny. To Noah, after finding Mimzy within a hidden compartment of the capsule they had found. I can do a magic trick with my hand. To her babysitter, before showing her what she can do with the "spinners". I don't understand. What do you mean? But I don't want the world to end, ever. I love the world. I don't want it to die. I need you Noah, you're my engineer. Telepathically talking to her brother. The people in the future can't travel through time. They need our help. Something in them is broken. And we can fix it. We have what they need. She says it's in our genes. I don't want Mimzy to die. Now Noah, Make him go. 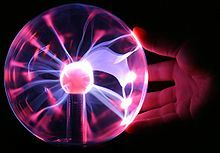 As they prepare to create the hyper-dimensional bridge needed for Mimzy's return. Noah, its us — we're building the bridge — it's for Mimzy to go back. Why couldn't I have a normal sister like everyone else? This stuff could be dangerous. … I showed the green glass thing to mom. She thought it was a paper-weight. Maybe other people don't see what we see. This is a lot easier than Phantom-Racer. While driving a laundry van after escaping from government custody with his sister. What about Noah's science project huh? How did he do that all by himself. I mean, usually he struggles, he needs my help, and suddenly he's in a league of his own. Something is just not right. That — is — weird. Excellent question, Wendy. Why don't they do something? Why don't they stop it? Who is this "they" that Wendy is referring to I wonder? What do you think? "They" is all of us. Talking to his class about the harmful effects of pollution. After being told by Emma's parents that she had levitated sugar into her father's bowl. When he sees the Emma place Mimzy into the time portal. In Tibet they believe that there are extraordinary children, with this very special knowledge — and abilities. They are considered actually very rare souls, very gifted — like Noah — they are called tulkus. Scientist explaining what the brain scans of the children revealed. She made her hand dissolve into a billion pieces. Just — "pfft-pfft" — like that. It wasn't natural! That's not natural, right? … She's an alien. I think they all are. Its not like anything I've ever seen. Let's do a slice and scan right away. Scientist after seeing the circuitry of Mimzy. I had a strange dream last night. I dreamed about a bridge. I dreamed they were going to build a really big one, across the whole universe, and you know what, its going to come right to our house. Larry: You're trying to get numbers out of me. Larry: There were no numbers. Naomi: It's so sad — we could have been so rich. Can you imagine how many people we could have helped with that money? Larry: Naomi — let it go, okay? It was a year and a half ago, it just happened once. It was a total fluke. Naomi: Larry, you dreamt all six numbers of a winning lottery ticket. We could have won eighteen million dollars! How is that a fluke? Noah: Yeah? What kinds of things? Emma: I think she reads minds. She knows all about us. Jo Wilder: He's just started taking off all of a sudden, in the last month or so. His sister is highly gifted too. Larry White: No, no, no, no — this is more than highly gifted. This is genius. He's going to win the National Science Fair. Emma: Wait — did that say mimzy? Emma: Let me see. 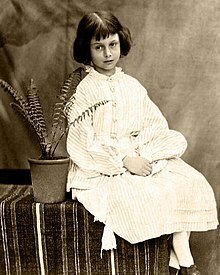 [sees a photograph of Alice Liddell as a child] Look, she's got Mimzy too! Baby sitter: What, the white rabbit? Emma: Yeah. And this is Mimzy too. She came here to find me. I don't know why. Emma: I had a strange dream last night. I dreamed about a bridge. Noah [remembering his own dream of the bridge]: What kind of bridge? Emma: I don't know what kind. I dreamed they were going to build a really big one, across the whole universe, and you know what, its going to come right to our house. Naomi: That's a very cute bunny. Emma: She's Mimzy. She's my teacher. She teaches me everything. She taught me about the painting in the book. She told me it was called the Seven Mountains. Jo Wilder: My daughter has a very active imagination. [sees the expression on Naomi's face] Oh, c'mon. That's not what it's called is it? Emma: We have to hurry, Noah. Noah: Why are you showing me that? Emma: Its about Alice, going through the Looking Glass. I think it explains what the machine is. Emma: I think Mimzy's sick. Can you tell? Something's wrong. She's getting weaker. I'm afraid she's going to die. David Wilder: She's a stuffed animal, Emma! Now you've got to stop it with this "Mimzy" stuff. Hello (I Love You) was a created as a collaboration between Howard Shore and Roger Waters. At PR-inside, Waters is quoted as saying: "I think together we've come up with a song that captures the themes of the movie — the clash between humanity's best and worst instincts, and how a child's innocence can win the day." Why is my life going by so fast? Life is long but it goes fast. Their future from our past. The ghosts are walking by my side. Bridges between me and you.